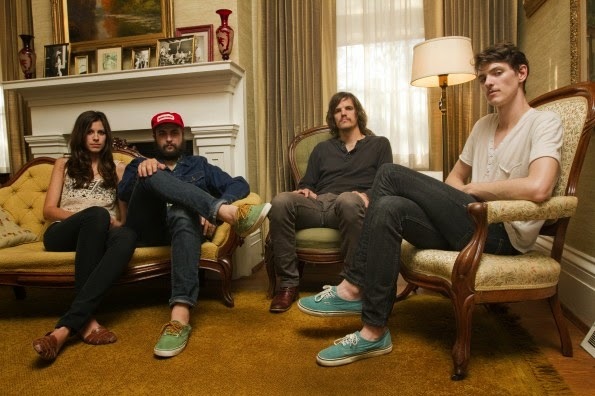 Houndmouth's debut album on Rough Trade came out last year and since then they have been perfecting their sound. Its that raspy, lovable, folk/country, Americana that is heartfelt and rips as well. All born and raised in Indiana they didn't start the band until a few years after high school. They parted ways but came back together to write their catchy single "Penitentiary". There are some other amazing tracks on their debut album such as "Houston Train" which features their female vocalist. I will be catching their live show at Brooklyn Bowl on June 21st and I think there are still some tickets. who writes this crap? a third grade girl? pathetic.